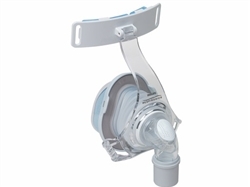 CPAP Masks, CPAP Machines, CPAP Supplies at CPAP-Supply.com. Which CPAP machine should I buy? Typically your prescribed pressure setting will be a good indicator of the type of machine that will be suitable for you. We tend to recommend automatic CPAP machines and/or CPAP machines with an exhalation pressure relief feature to customers who have relatively high pressure settings. If you have a lower prescribed pressure setting, then a standard CPAP machine would be perfectly suitable. Generally, if you need a bilevel machine your prescription will indicate this specifically. 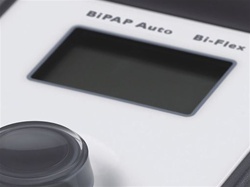 If your prescription shows a low exhalation pressure and higher inhalation pressure and/or calls specifically for a bilevel or bipap machine, then that's probably what you should get. The only exception to this would be if the exhalation and inhalation pressures are within about 3 units of each other. In that case, you would get adequate therapy from a CPAP machine with an exhalation pressure relief feature. If you're looking to be able to run your CPAP machine from a 12V battery, then just be sure to get a machine with a direct 12V input. Almost all newer CPAP machines have this. One of our more popular machines called the Zzz-PAP doesn't have this. You can still use the Zzz-PAP machine with a battery, but you would have to user an inverter between the CPAP machine and the battery. Using an inverter is an inefficient way to use a battery. Which CPAP mask should I buy? Your mask is the most critical aspect of your CPAP therapy. The right mask will lead to higher levels of comfort and compliance. If you already own a CPAP mask that you like, we recommend sticking with it. If you already own a mask with which you're not fully satisfied, it's probably time to switch to a new mask. Without knowing your exact concerns with your current mask, we can only recommend what seems to work very well for the majority of CPAP users. The ComfortGel nasal mask is the best-selling mask of all time, so it's a good place to start. Minimal-contact masks like the Swift FX eliminate many problems common to traditional nasal masks - like sizing (the Swfit FX comes with 3 sizes of cushions), soreness on the bridge of the nose, a bad seal around the bridge, obstruction of vision, red marks on forehead in the morning, etc. The Swift FX is the most popular minimal-contact CPAP mask, and it's currently rated 4-1/2 stars by our customers. 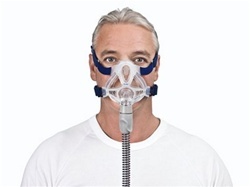 Some CPAP users need a full face mask. If you breathe through your mouth a lot during sleep, and if a chin strap can't effectively keep your mouth closed, then a full face mask is the way to go. If you're looking to buy your very first CPAP mask and don't know which one to get, then feel free to give us a call at 1-888-955-2727 and we can help you decide. Do I need a nasal mask or a full face mask? This depends on whether you sleep with your mouth open or closed. You cannot get effective CPAP therapy with a nasal mask if your mouth is open during sleep. This is because the air will enter through your nose and take the path of least resistance right out your mouth. This is bad for two reasons: 1) it's extremely uncomfortable, and you'll take your mask off either knowingly or unknowingly during the night; and 2) it's impossible for your obstruction to be opened if the air isn't being pushed down your airway. If you're about to buy your first CPAP mask, and if you're not really sure which type you need, then we recommend starting with a nasal mask. Nasal masks are generally less expensive, and it's usually easier to get and maintain a good seal with a nasal mask. Even if you learn that you breathe through your mouth you can use a chin strap to try to keep your mouth closed. If the nasal mask simply won't work because you're a mouth breather (hey, there's nothing wrong with that!) and the chin strap doesn't help, then you know you need to switch to a full face mask. What's the difference between a CPAP machine that costs $179 and one that costs $853? You mean besides the name of the manufacturer? Just kidding. There really are some significant differences in CPAP machines at different price levels. The most obvious difference is in whether a CPAP machine is a standard, constant-pressure unit or an automatic CPAP machine that adjusts the pressure throughout the night. 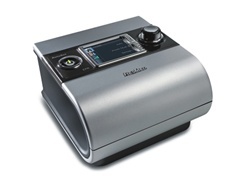 The CPAP machine we currently sell for $179 is a standard, constant-pressure CPAP machine. 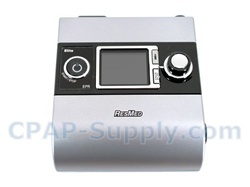 The machine we currently sell for $853 is an automatic CPAP machine. But this difference in pressure delivery systems isn't the only difference. The S9 AutoSet - that's the one we sell for $853 - has a lot of features the Zzz-PAP - that's the least expensive unit we sell - doesn't have, like exhalation pressure relief, auto on/off, direct 12V input, detailed compliance and event recording, a quieter motor, cool color screen, and a better warranty. And that's just a few of the differences. It's mostly true that you get what you pay for, but many CPAP users simply don't need or want all the features of the ResMed S9 AutoSet. Bilevel machines are more expensive than both types of machines described above. You'll probably know if you need a bilevel machine because it will be written on your prescription. Do I need C-Flex, A-Flex, Bi-Flex, SmartFlex or EPR? Flex features are comfort features and are certainly not required. If you're new to CPAP therapy, or if you have a relatively high pressure setting, then exhalation pressure relief can help make CPAP therapy more comfortable and tolerable for you. If you're a long-time, eperienced CPAP user who is used to CPAP therapy without exhalation pressure relief, then you probably won't be basing your CPAP machine purchase decision on this type of feature. It's important to note that exhalation pressure relief can be turned off. You might. It's really a matter of preference. If you live in a particularly dry environment then a humidifier may help to make your CPAP therapy more tolerable by reducing or eliminating problems associated with a dry mouth and airway. We've polled thousands of CPAP users and have found that approximately 77% report that they use a humidifier with their CPAP machine. If you're on the fence about a humidifier as a first-time buyer, you really can't go wrong with whatever decision you make initially. If you decide against a humidifier to start with, you can always add one later. If you decide to go with a humidifier as part of your first setup, you'll save a little money since the humidifier will cost a bit more as a stand-alone item. If you get the humidifier to save money, you don't have to use it if you don't want to, or when it's inconvenient to do so (like when you travel). 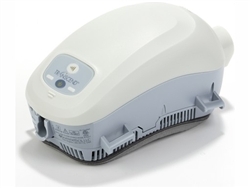 Almost all newer CPAP machines have optional detachable humidifiers that can be purchased along with the machine initially, or that can be purchased later. What's included with a CPAP machine, and do I need to buy anything else? The CPAP machine you buy from us will include tubing, filters, carrying case, and a complete set of operating manuals. The only other thing you would need to begin using your CPAP machine is a CPAP mask. We do recommend buying extra filters with your CPAP machine, just to save on shipping costs in the future. With that said, it's important to know that we offer inexpensive first-class mail shipping for small items like CPAP machine filters. There will come a time when you run out of filters, even if you buy extra filters with your CPAP machine. When that time comes you know you can buy more filters from us at competive prices and with low shipping rates. All USA orders of $99 or more ship free. You should also know that any CPAP mask you might currently own will work with any CPAP machine you buy from us. There are no compatibility issues since CPAP tubing diameter at the air outlet has been standardized at 22mm. What does my prescription need to say? In it's simplest form a CPAP prescription is written by a doctor like any other prescription, and simply reads, "CPAP machine and supplies". Will you set the machine for me, or will I have to take it somewhere to be set? We'll set your CPAP machine to your prescribed pressure setting before we ship it to you. Provided you already own a CPAP mask or you're buying a CPAP mask with your CPAP machine, your CPAP equipment will be ready to use out of the box. You will not need to take it anywhere for adjustments. In fact, if you do need any help once you recive the machine, just give us a call at 1-888-955-2727 and we can help you with any issues you might encounter. If your prescription doesn't include a pressure setting, then you can tell us what the pressure needs to be. If you don't know what the pressure needs to be, you should consider an automatic CPAP machine like the IntelliPAP AutoAdjust. If you receive your machine from us and it's not set to the correct pressure please call us immediately at 1-888-955-2727 so that we can help you adjust the pressure over the phone. Will the CPAP equipment be covered by my insurance? This depends on your particular insurance policy. The best way to find out if you're covered is to call the phone number on your insurance card and ask. You'll want to be sure to clarify you're asking for your "out-of-network" benefits for CPAP equipment. If you want us to make this call for you, we'd be happy to do it. You can email or phone in your insurance information and we'll get the details from your insurance company. How often will CPAP masks need to be replaced? The manufacturers recommend replacement of mask cushions every three months (surprise, surprise! ), and they base this recommendation on evidence that suggests that it's impossible to remove all bacteria from a mask cushion even with thorough and frequent washing. After a period of time, bacteria growth can get to the point where it's just not sanitary to keep using the same CPAP mask cushion. Most CPAP masks have replaceable cushions, but some do not. If you have a CPAP mask that has a replaceable cushion, you needn't replace the entire mask when the cushion wears out. You can just buy the CPAP mask cushion you need. We typically suggest mask replacement every six to nine months, and only more frequently if you feel it's really necessary (or if your dog or cat chews on your mask cushion). We often talk to customers who have used thier CPAP mask for years without replacement. At the end of the day, it's completely up to you. When you begin to notice that your mask doesn't seal as well as it used to, then you're probably in need of a new mask. How often will filters need to be replaced? Many CPAP machines use two types of filters - a washable, reusable foam filter, and a fibrous, disposable ultra-fine filter. Some CPAP machines only use a foam filter, and some only use a fibrous filter. Whatever the case with your particular CPAP machine, you'll need to wash or replace the filters at some point. Foam filters are washable. Fiber filters are disposable. We recommend you inspect your filters weekly. You should plan to wash or replace your filters every month. The exact time at which you choose to wash or replace your CPAP machine filters should be based on periodic visual inspection. When you notice discoloration or particulate accumulation on your filters, it's time to wash or replace them. Generally, CPAP machine filters will need to be washed or replaced more often in a particularly dusty or a particularly humid environment. When I get a new CPAP machine is it easy to set up? 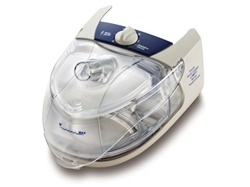 Will a new CPAP mask work with my old CPAP machine? Yes. There are no exceptions to this rule. CPAP tubing is standardized with a 22mm connection and all masks fit standard CPAP tubing. When an old mask is removed from a tube, a mask part - specifically, a removable swivel - can be left behind, stuck in the tube. When a mask part gets stuck in the tube, a new mask will not fit in the tube. If this happens to you, all you need to do is remove the stuck part from the tube so that your new mask will fit. Happens all the time. Will I be able to use a new CPAP machine when I travel abroad? Yes, all newer CPAP machines come equipped with a universal power supply that allows the CPAP machine to work on voltages ranging from 100V to 240V. No user intervention is required. You'll just need to make sure you have suitable plug adapters for the power outlets for the countries you'll be visiting. You can check to see if your CPAP machine has a universal power supply by looking at the electrical specification label on the CPAP machine. If you see 100V - 240V 50/60 Hz then you know for sure you have a travel-friendly machine. If you don't see this specification, then it's likely you don't have a machine with an automatic universal power supply. Some older machines have different fuses for different voltages and require the CPAP user to flip a switch to the desired voltage. Call us if you're not sure. Are any CPAP machines battery powered? Most newer CPAP machines have direct 12V input jacks on them, so that they can be connected to any 12V battery with a simple 12V cord. This jack is usually marked DC IN. One of our lithium-ion CPAP batteries would be an excellent fit for any newer CPAP machine with a 12V input jack. Which CPAP machine is the quietest? The ResMed S9 series CPAP machines are the quietest, rated at approximately 24 decibels. The DeVilbiss IntelliPAP machines are the next quietest at about 26 decibels. Which CPAP machine is the smallest? 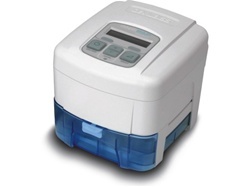 The Transcend II is the smallest CPAP machine we sell. It weighs less than 1 pound. The Zzz-PAP Standard and Zzz-PAP Auto CPAP machines are the next smallest and lightest machines we sell. They weigh about 1.7 pounds and easily fit in the palm of your hand. What are the insurance codes for CPAP equipment? No, we do not accept insurance as payment. As with all CPAP equipment retailers online - or at least all of which we're aware - you'll need to pay with a credit card up front, and then either you or we can file a claim for reimbursement with your insurance company. We charge a claim filing fee for filing a claim with a private insurance company. We do this because our prices are so low, and we don't have extra paperwork and processing factored into our discounted prices. What is a "mask kit?" A mask kit is a kit of individual mask components that can be purchased without a prescription. When you place an order we ask you to tell us about your prescription status. One of the answers you can choose to this question is: "I'm buying a mask kit without a prescription." If you're buying a mask and you don't have a prescription to send to us, then you must select this "mask kit" option which allows us to send you the individual parts that you can put together yourself. Usually this means you'll have to install the headgear strap and the mask cushion yourself. It's very easy to do. What if I don't have a prescription but want to buy a CPAP mask? Tough luck. No, just kidding. That's the whole point of a "mask kit." If you buy a CPAP mask and choose the option of "I'm buying a mask kit without a prescription" during the checkout process, we'll give you the individual mask components which don't require a prescription. Generally, this means we have to disassemble a mask and provide you with the individual components. So when you choose the "mask kit" option during checkout you're authorizing us to ship you mask components that aren't necessarily sealed in original manufacturer packaging, or that have been opened and resealed in the original manufacturer packaging. Rest assured that all mask components we ship are brand new. 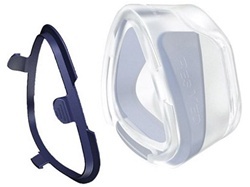 The "mask kit" option is a convenience for anyone shopping for a CPAP mask without a prescription. Of course, if you have a prescription we would very much prefer to send you a complete, assembled mask as it comes from the manufacturer. It's WAY less work for us, and it means you don't have to assemble the headgear strap and cushion of the mask. That's what we call a "win-win" scenario. Your prescription can be faxed to 1-509-448-1540, or it can be emailed to rx AT cpap-supply.com (where AT = @).